A long-sleeved, form-fitting silhouette in stretch fabric blended with cotton by BOSS Womenswear. 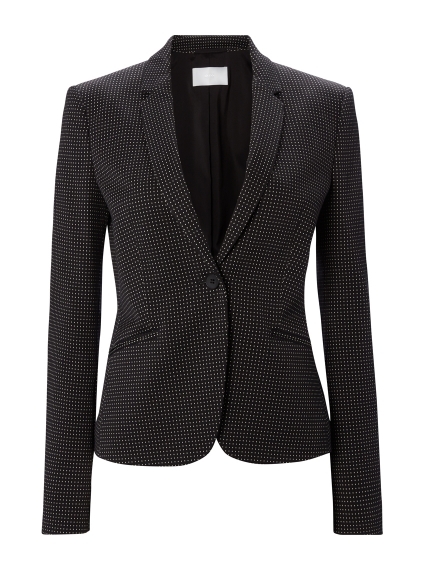 This modern one-button jacket features a subtle pindot pattern enhanced by an innovative structure, a neat lapel and subtle pockets at the waist. Wear as a statement piece with plain black trousers or with the coordinating Dumano Dress.